Our trip destinations sound kind of like a Pitbull song, don’t they? (American pop culture reference!) We were just hopping everywhere to all these famous places… A whirlwind of international adventure. I felt like a real jet-setter. 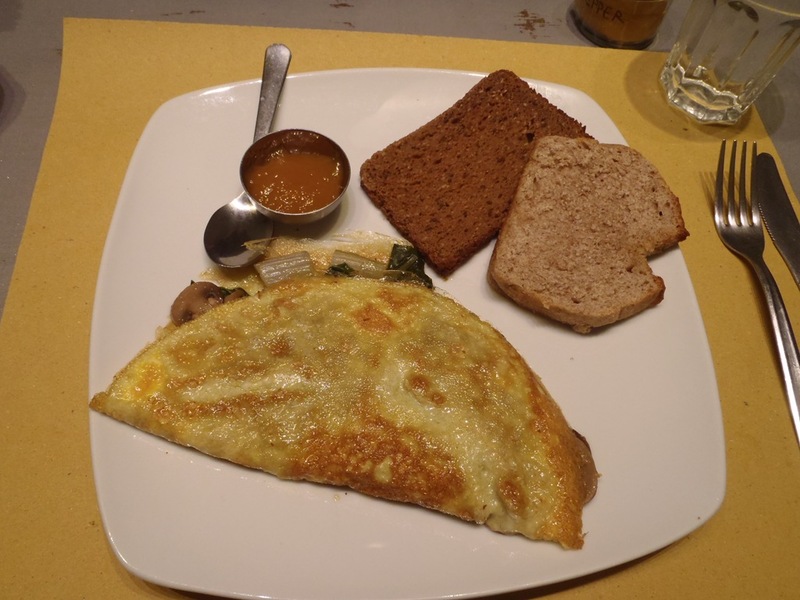 We had a leisurely breakfast at our hostel in Firenze before we checked out. 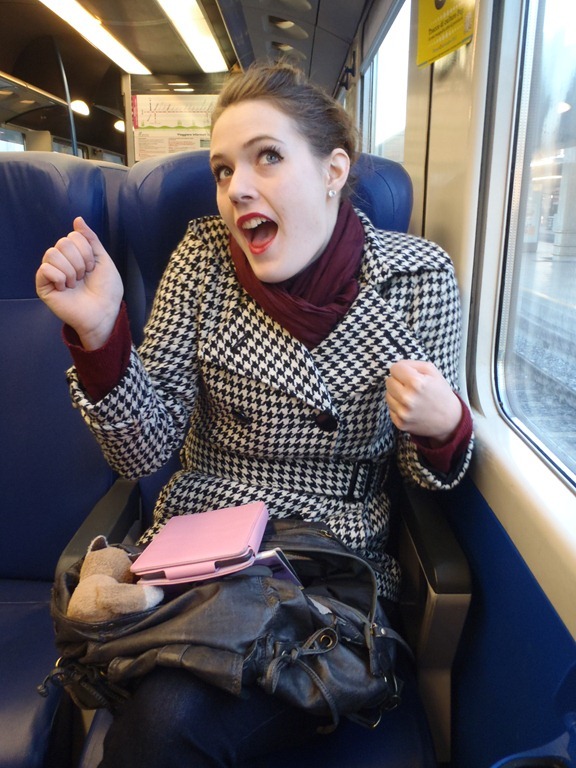 We had lucked out and found a super cheap train from Firenze to Rome at 19.45 euros apiece. It took 3 hours instead of 1.5, but was 25 euros cheaper. 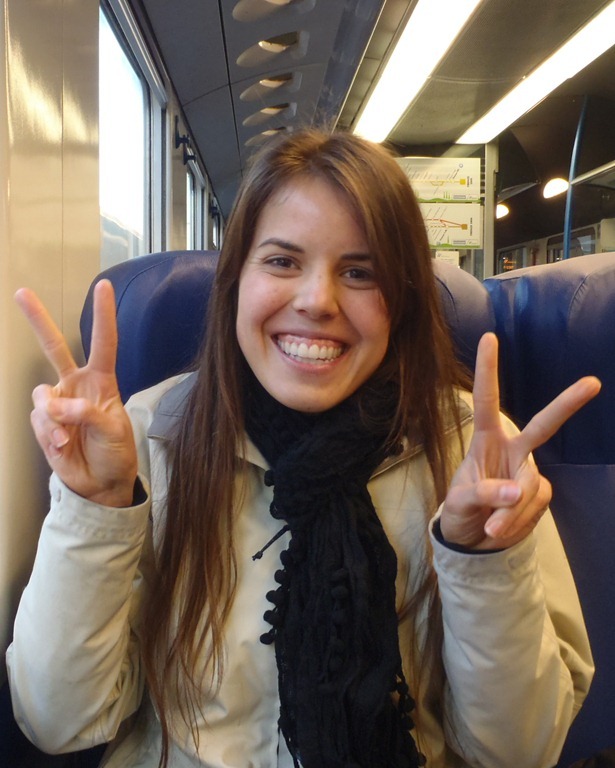 We decided to save the money and take the cheap train, which turned out to be an awesome idea. Excited to go back to Rome! And save money! The slow train went through some amazing scenic places. I saw a glimpse of the beauty of Tuscany—rolling hills, lakes, wine grape fields, farms, a few castles on hills… It was so fun to watch how the scenery changed from northern to southern Italy. We were also very lucky to have gotten on the train at the first station, because as the train went on, there were no seats left. People were standing by the time we got to Rome Termini. The hostel, Archi Rossi, was easy to find and the staff were very nice. They even had a Korean on staff (apparently the place was famous in Korean and among Koreans, which we would realize later). It was actually the first day they were open after the December holidays, so I considered us lucky that we got beds there. A great find, really. They let us check in early and we were the first ones in our 8-bed dormitory room. It didn’t take us long to put our stuff away and venture out in search of breakfast/lunch. There didn’t seem to be any grocery stores nearby, so we gave up and decided to wait for a certain restaurant to open. 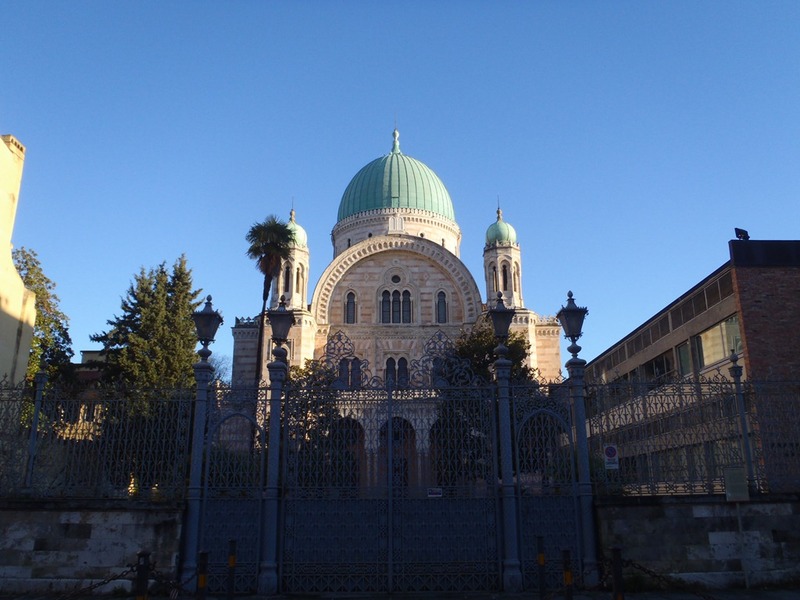 We found a Jewish synagogue while waiting. It was a nice departure from all of the Catholic churches. At 12:10pm, the restaurant opened! I had been getting nervous that it was really just closed for the day, but then we saw lights on and signs of life, so it was okay! 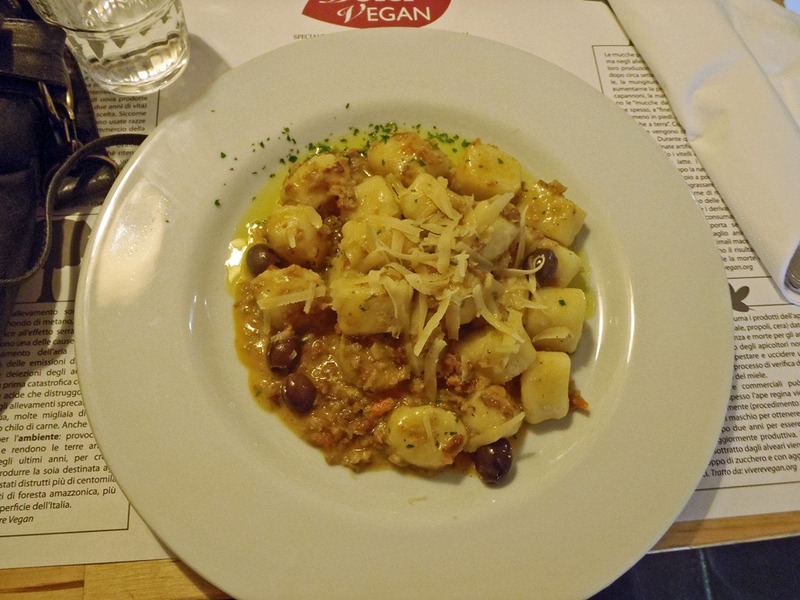 Kimberly obliged me as we decided to eat at Dolce Vegan, a vegan restaurant that was pretty well-known in Italy. I was dying to eat there. The service and rules of the restaurant (order at the counter, pick up your food from the counter when called, bus your own table…) took getting used to. 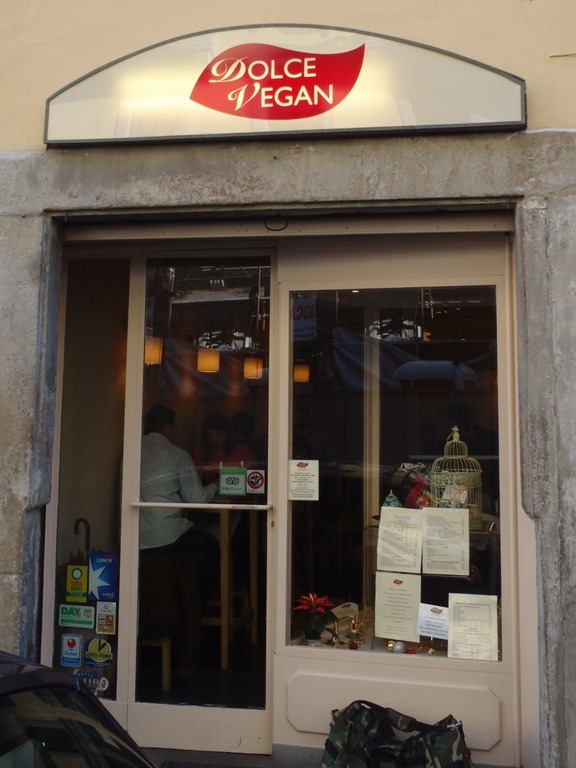 The woman working there (maybe she was the owner) spoke Italian to us and the menu was entirely in Italian as well. We muddled through ordering and enjoyed some delicious food. And actually, my limited knowledge of Spanish helped with reading the menu. It was our first meal of the day and we were really hungry. 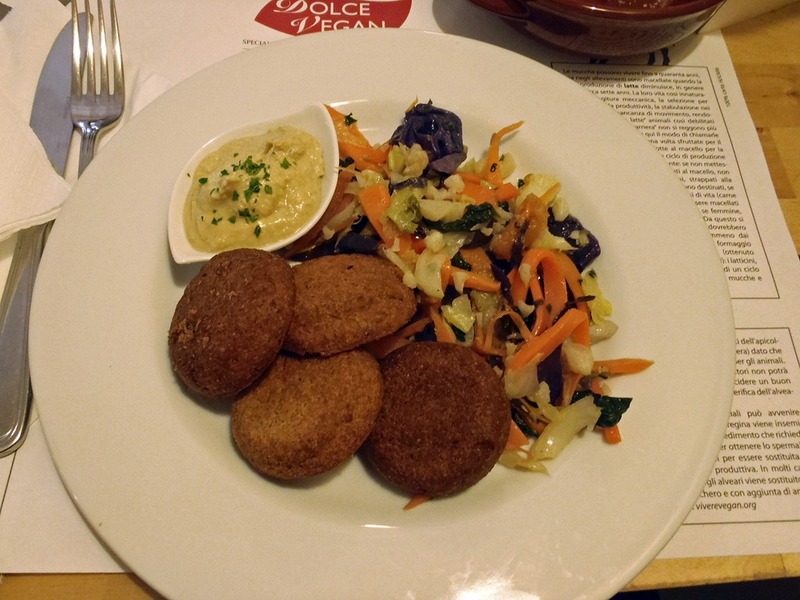 That up there is my falafel, veggies and hummus. And this is Kimberly’s olive gnocchi pasta. After we were no longer starving, we started to explore. Walking around Firenze, my first impression was that it was a lot cleaner than Rome. It felt more like living art. Or like, walking around in art. It was hard not to be enchanted by the city. 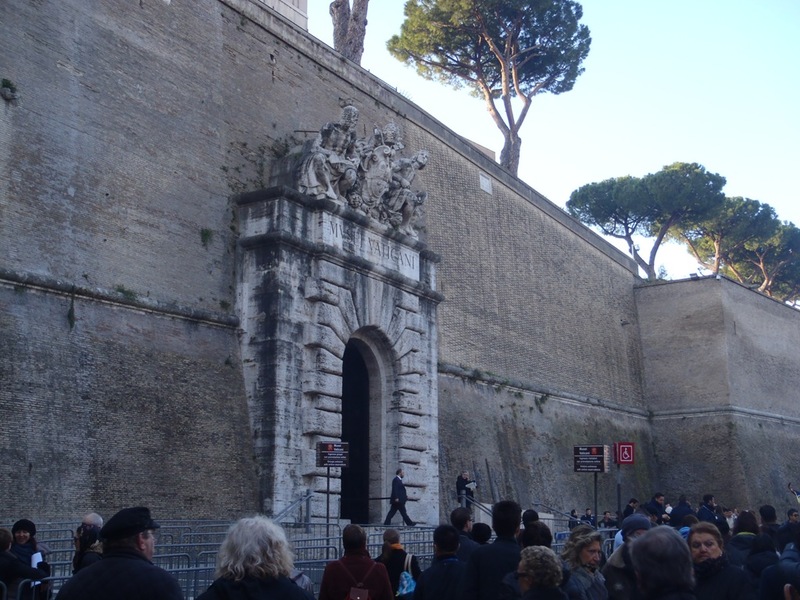 On the 26th of December, the day after Christmas, we decided to forgo a day trip to Naples and stay in Rome. We had heard that the Colosseum was open on the 26th, as was St. Peter’s Cathedral. We both really wanted to get to those, so it seemed like a good idea just to stay put. We finally got to have breakfast at the Beehive Café. I had an omelet for the first time in years, plus one slice of gluten-free bread and one slice of regular homemade bread. Actual real wheat bread. It was delicious. A bit of background: I have been following a gluten-free diet since 2009 when my stomach and digestive system decided to completely rebel against me. Maybe it was the stress of graduating and trying to find a job, I don’t know. I had seen a gastroenterologist and had an endoscopy to check for celiac disease. I, thankfully, did not have the disease, but the blood test revealed that I might be sensitive to gluten/wheat. So I eliminated it from my diet and… I began to feel better! Less stomach distress, less pain, more energy, a lot of things. I decided to stick with it. But lately I have eaten certain gluten-y things without pain/distress, so I don’t know what is going on. I decided to be less restrictive in my gluten-free-ness and try to eat bread in Italy. After all, this was a once in a lifetime opportunity! How could I not eat Italian bread and pasta? After breakfast, we were on our way to the Colosseum! I had done some research on the internet about this and lines for tickets to get into the Colosseum tended to also be ridiculous. However!! 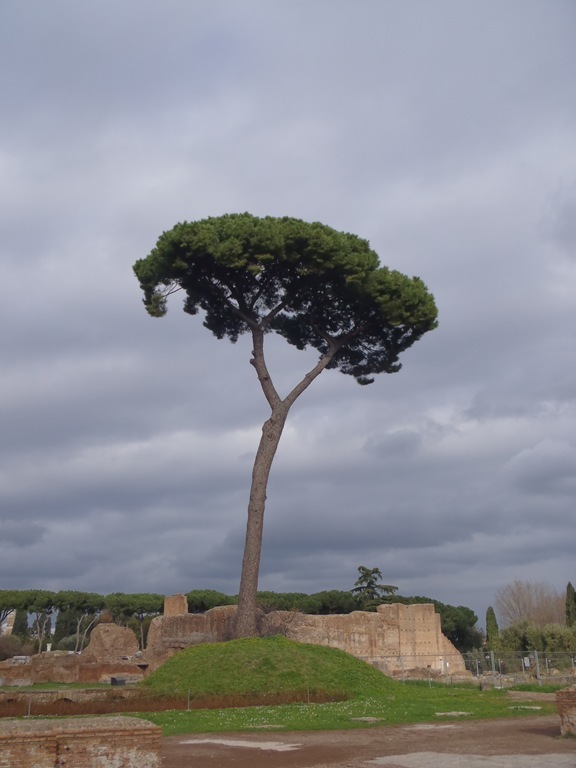 I got an awesome tip from Reddit that said to go to the Palatine Hill entrance first because you can get a ticket for all three (Colosseum/Palatine Hill/Roman Forum) and wait in a significantly shorter line. 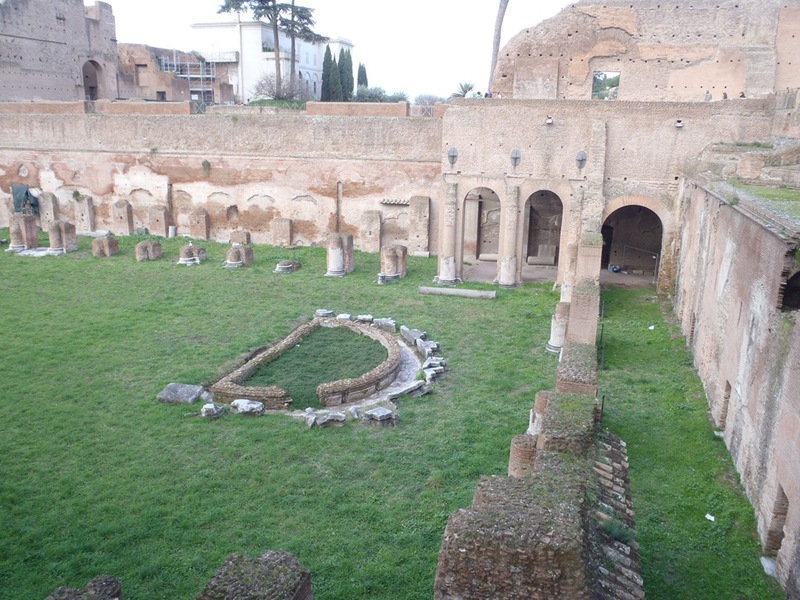 It was absolutely true—we were about 5th in line and were inside the Palatine Hill ruins in minutes! 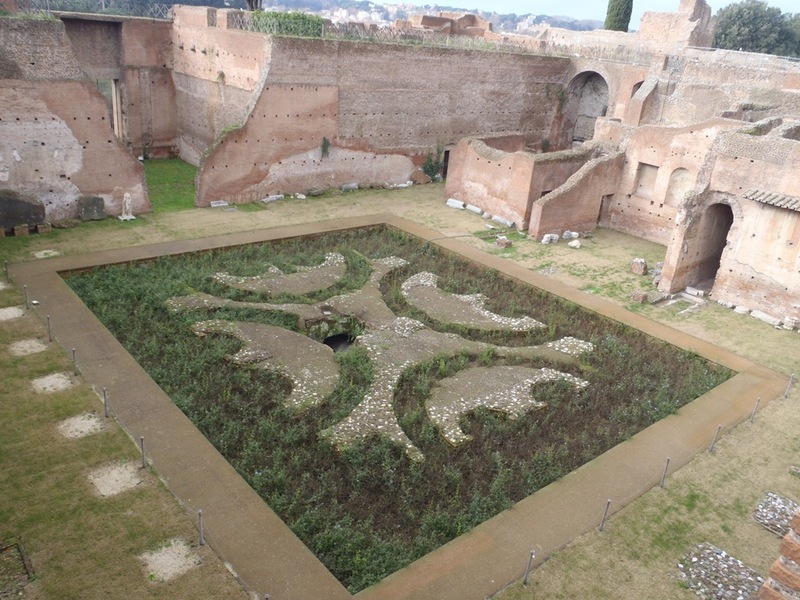 The above used to be a fountain, with a pattern of four crescent-shaped shields a used by Amazons separated by semi-circle channels. Italy was full of these trees. They were awesome. They reminded me of skinny broccoli. 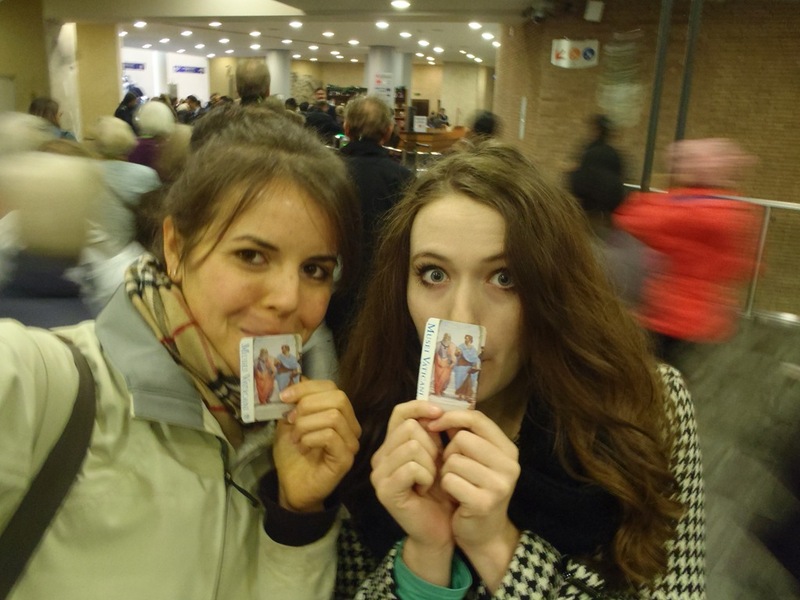 We didn’t want to see the Vatican museums with a tour, so we decided to be rebels and brave the line. 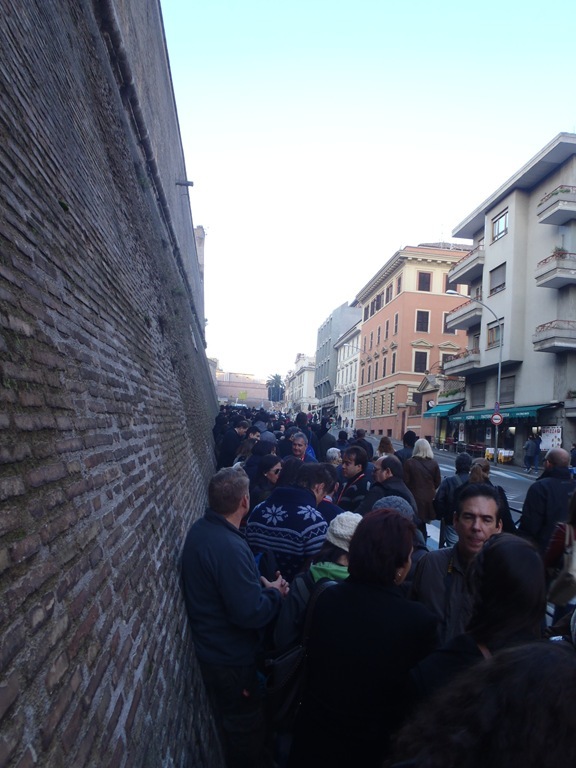 We were out of the hostel early and made it to the infamous line (which wraps around the Vatican museum walls and can be hours long in the summer) around 8:15am. It wasn’t that long at all! We really lucked out, and were in the museum, tickets bought, by 9:10am. Score! What we saw inside was nothing short of breathtaking. My pictures don’t do it justice. We (Kimberly, Tori, and I) left Hirosaki via Willer Express nightbus at 10pm on Friday, December 21st. We were all on the same bus because all of our flights were leaving from Tokyo the next day. Tori was headed home to Vancouver/Portland to see family and Kimberly and I were going to Italy. 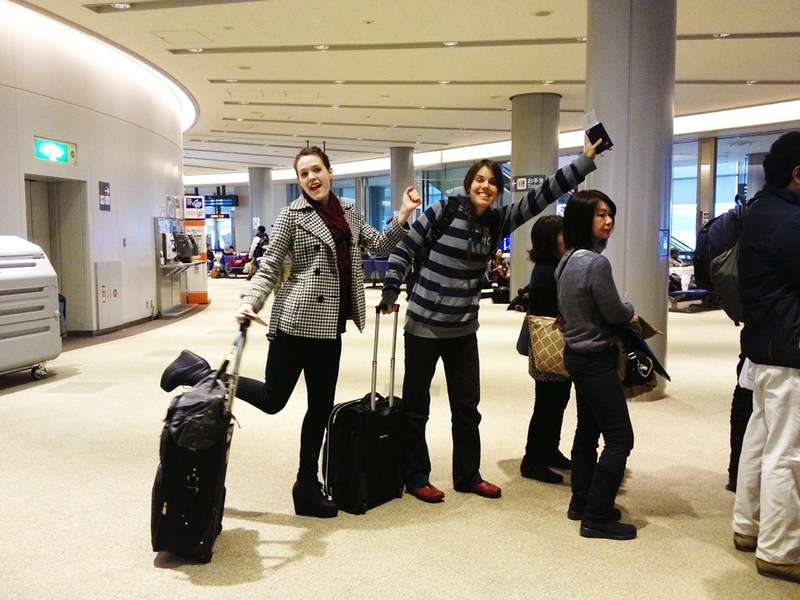 We were headed off in completely different directions, but we had to Narita Airport first. I had been running around all day and battling nerves, so I was exhausted by the time we boarded the bus. Kyle drove us all to the bus stop, so it was nice that we didn’t have to haul our luggage in the snow. Kimberly and I, having bought our tickets on the same day, ended up in one row of two seats. Tori was right behind us. The trip actually went better than I expected; I actually slept (but in 2-hour intervals because the bus had no bathrooms and regularly stopped at service areas). It was sleep nonetheless. I finally found a comfy position on the bus and it worked pretty well! Thank God for that. 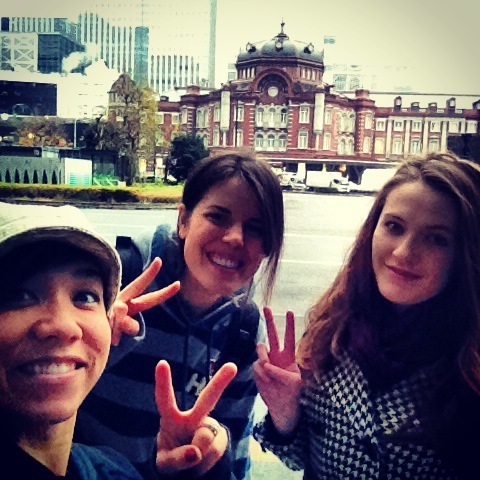 We arrived in front of Tokyo station around 8am and made our way there. They redesigned the station building recently and it is just gorgeous inside and out. We took a picture in front of it. After that we took the Yamanote line to Ueno, bought Keisei express tickets to Narita, and were on our merry way. Keisei is a private, non-JR railway company and their limited express costs 1,000 yen from Ueno. It takes a little over an hour, whereas the JR Narita Express costs about 2,900 yen from Tokyo and takes 53 minutes. I think I’d rather take the cheaper option, thanks. The Keisei station is quite separated from the JR station in Ueno, so you have to walk a while. Note to self: Always change trains from Keisei to JR at Nippori Station. In Nippori, the Keisei and JR lines are in the same building. I was really exhausted at this point and just wanted to chill out at the gate, so that’s exactly what I did. Charged my iDevices too. Tori and Kimberly went to walk around the duty-free area and get food while I manned the fort and guarded the bags. The time until we were called to board the plane neared and I asked Tori to snap a pic of Kimberly and I as we waited in line. It marked the beginning of the second leg of our journey. Goodbye, Tori! See you in 2013! We got to our seats, savored our last precious minutes of unlimited data on our iPhones (most with Facebook) and waited to take off. Kimberly told me that takeoff is her favorite part. She was super excited! I had kind of wasted all my nervous energy at that point, but I was excited too. I remembered how my dad would give me a piece of Wrigley’s gum at takeoffs and/or landings to help with cabin air pressure in my young ears. That was when we would fly together a lot as a family. The weather outside was the “pouring cats and dogs” kind of rain, but our plane left without any delays. VROOOOM!